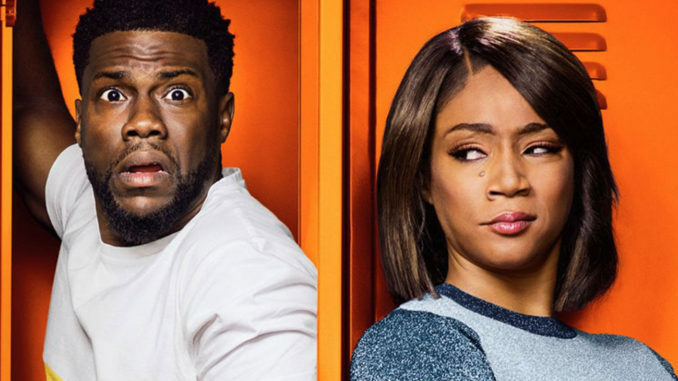 Kevin Hart and Tiffany Haddish star in "Night School". A scarcity model cocktail of wrong that is U.S. K-12, Special Education has traditionally been an under-or unfunded, uncared about part of institutional schooling since its inception. 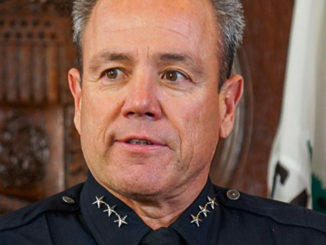 It consigns children who don’t necessarily test well, live with a disability, are of color or in struggle with poverty or other issues, to being permanently labeled, tracked, stereotyped and forcibly medicated or dangerously police harassed. “Am I dumb?” Kevin Hart’s character continues to inquire all throughout the fast-paced hilarious movie. He asks everyone, from teachers to advisors, to friends and finally to Tiffany Haddish, who plays his night school teacher and is one of the realest actors around, and who he meets when he has to go to night school to get his GED. She clearly and simply tells him, “No, you are not dumb,” but she is the first one to ask him, without any inferred put downs, “Have you ever been tested?” The comedic movie turns that into a joke about STDs, illustrating yet another level of shame about living with disabilities in this ableist, racist, classist society. As a survivor of teacher-shaming for my dyslexia, being called stupid and put in the corner with two other students (all of color and poor, not incidentally) in front of 36 fellow students in the fifth grade because I couldn’t do math at grade level, to me, this was a plot point in the movie, where it left the cutesy and became very serious. And very powerful, making me reflect not only on my own struggle to pass the GED, which, like Kevin’s character, I failed the math portion of four times, barely believing I could pass the test at all. But the ways in which my life and the lives of so many of my fellow poverty skolaz and the youth we built our liberation school Deecolonize Academy for and by are discouraged, bullied, criminalized and shamed throughout our years in institutional school. This sad reality is why I created a children’s book with a disabled, houseless elder as the protagonist. And me and Leroy created a curriculum on poverty and disability which we are teaching to all conscious teachers and parents and youth who are open to it. This moment in Leroy and Emily’s class made clear something I and many conscious teachers and youth and disability activists have known for a while: Special education is a racist, classist, ableist branch of “mans skoo” curriculum and education, which has nothing to do with social justice. Although some conscious folks, like the teacher Tiffany Haddish plays, are trying to teach, it is a harmful system, which is all rooted in poverty and denial of resources to poor students of color with disabilities. Not to mention, at the far end of the punitive, Big Pharma pushes institutional solutions of medication, incarceration and long-term segregation and labeling. And in this movie, my still living-with-shame and sixth-grade-educated self discovered that I probably have a little known neuro-divergence known as dis-calcula, which is a branch of dyslexia. If you have it, it’s extremely hard to concentrate and even look at numbers on a page without them moving and changing. This Afrocentric movie, which I would refer all people to see, especially my fellow poverty and disability skolaz, also had incisive critiques about racism, incarceration, fetishization of Black culture, ageism, sexism, bullying and even poverty shaming and the power of living, owning and lifting up your truth, whatever it is. Thank you, Kevin Hart, for lifting up and helping us laugh and hopefully impact change on this issue that impacts, harms and discourages so many of us youth and adults in struggle with poverty, racism and disability in amerikkklan. For more information on Tiny’s and Leroy’s books, go to poorpress.net. To invite Leroy and Tiny into your class or organization, go to www.lisatinygraygarcia.com. Kevin Hart is a multi talented man with a great heart. But we have too wake up urban America and help get God’s order back in place. We need economic empowerment in our communities. We need more factories, shopping centers, banks, grocery stores, programs too help bring the strong fathers back in the households . We also need black churches too get from out of the pulpit and go out in the streets like Jesus Christ did and help save some of these boys and men from gun violence.